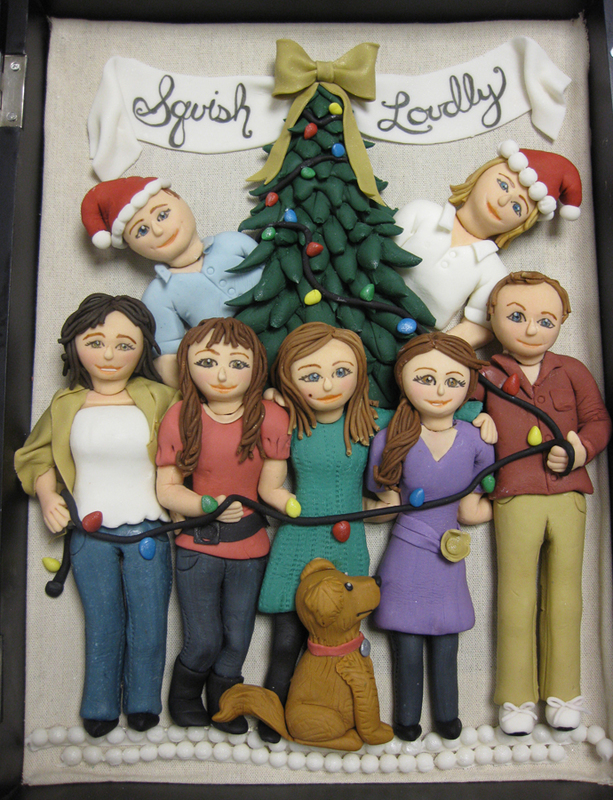 As a gift for my family for Christmas I recreated everyone, including Abby the dog, as a sugar figurine. 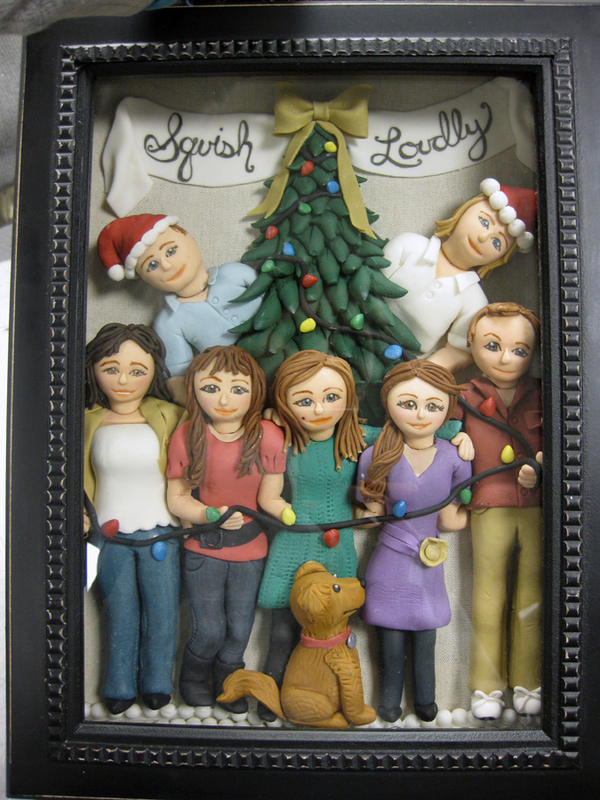 Using gumpaste and fondant I arranged my family into a shadow box topped off with all the holiday trimmings. What is the significance of ‘Squish Loudly” you might ask? It is an inside joke created when we once tried to take a picture of all of us from only an arms length away and in order for us all to fit in the shot Mom announces, “Squish Loudly!” Perhaps she meant to say tightly but that’s definitely not as funny. 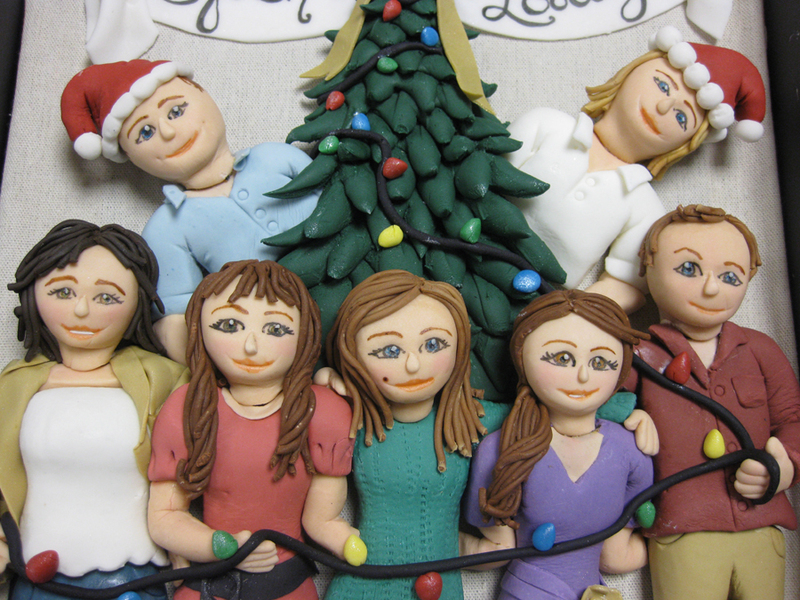 Let us know if you’d like us to turn your family into sugar and display on your cake. Here is the view of all of us with the lid open. One more close-up shot of the faces.